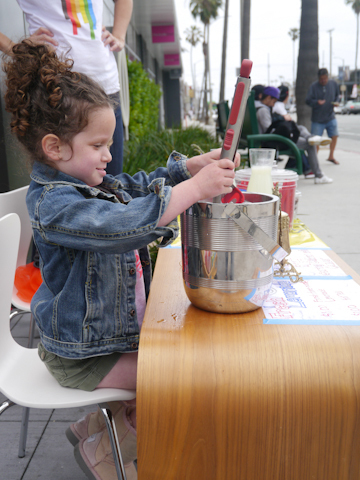 Alex’s Lemonade Stand in L.A.
My favorite part about Cinco de Mayo was stopping by a lemonade stand in the Marina. Last time I went to a lemonade stand, the little girl told me she was saving up to buy the same lip gloss as her friend. And you KNOW I gave to that cause! But this one was different–this one was to find a cure for pediatric cancer. All the proceeds went to Alex’s Lemonade Stand Foundation, in honor of a child who started hosting stands to raise money for her own treatment. Yesterday was a pretty gloomy day in Los Angeles. I didn’t expect there to be much traffic at their little stand so I made a point of stopping by. And they were all there – my sister, her husband, their friends, and their children (ages 4-6) – sitting out in the cold, serving up homemade, hand squeezed lemonade with licorice straws. It was incredible! Three little girls preparing cups of ice and yelling, “We’re saving the world todayyy!” People were stopping and giving, donating and drinking. They pulled over on bicycles, skateboards and motorcycles. Joggers stopped to take a breather, cars pulled over to show support, and so on. I wonder how much they could have raised had they not run out of lemonade. Maybe a corporate sponsor like Country Time or Minute Maid would like to step up and donate product for the next one? 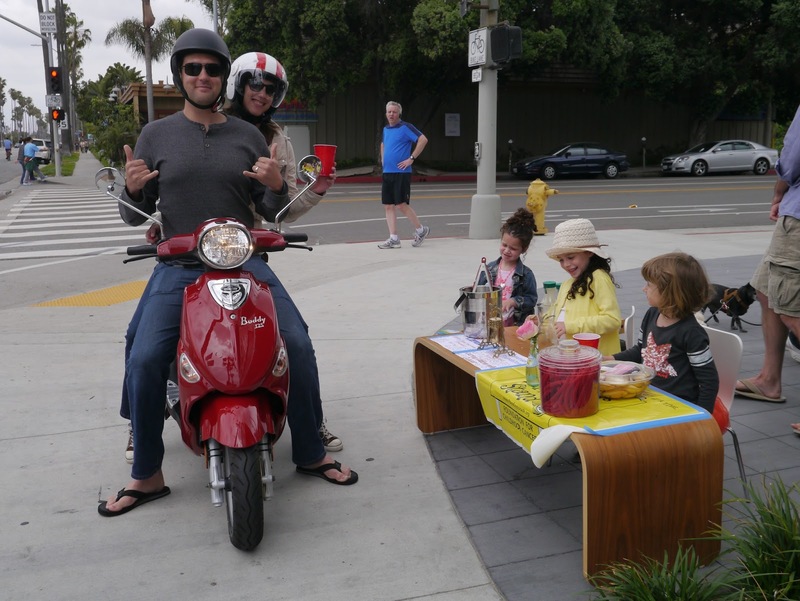 But even without sponsorship, the little lemonade stand in Marina Del Rey raised $311 to support a cure for pediatric cancer. 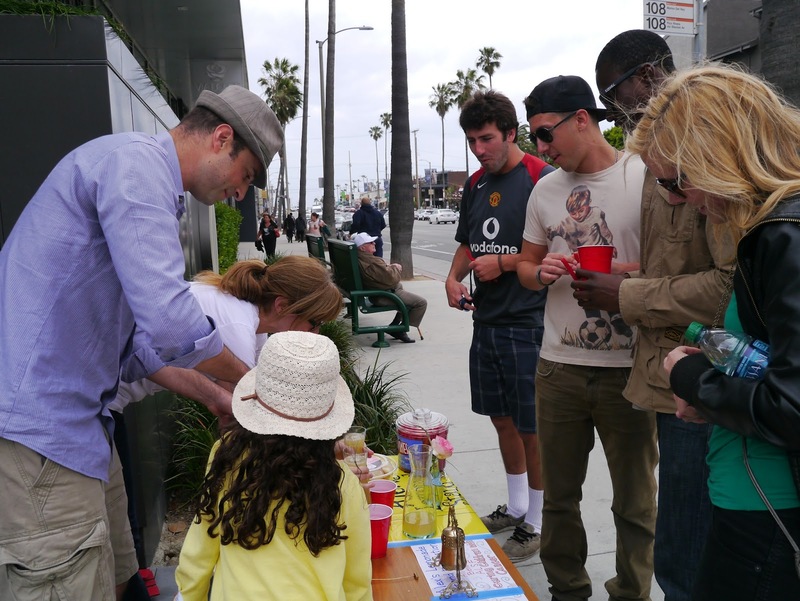 Learn how you can participate in your city at alexslemonade.org.